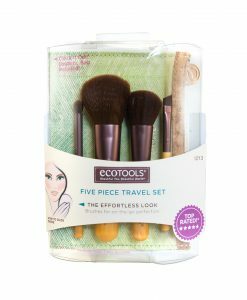 This product is also in the Daily Love Set, Face Essentials MINIs, I See the Beauty Pack, Travel Kit & Trial Pack. 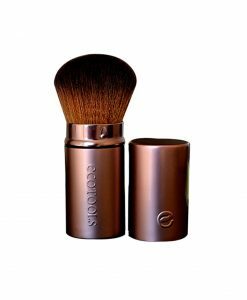 Perfect for all skin types, including the most sensitive. 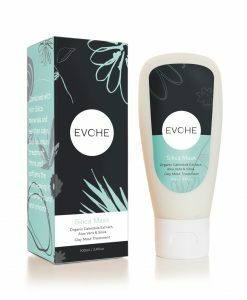 With regular use EVOHE Cleanse will assist in balancing the skin’s natural oils and help ward off the signs of ageing. *Aloe Vera, Colloidal Silver, *Shea Butter, *Cocoa Butter, *Cupuacu Butter, Candellia Wax, Glyceryl Stearate Citrate (Palm Free), Potassium Olivoyl Hydrolyzed Wheat Protein, Xylitol NGMO, Leucidal (Preservative), *Apricot Oil, *Green Tea Extract, *Rosemary Extract, *Sage Extract, *Burdock Extract, *Yarrow Extract, *Nettle Extract, *Horsetail Extract, *Hemp Seed Oil, *Jojoba Oil, Sea Buckthorn Oil, *Rice Bran Oil, *Pumpkin Seed Oil, *Rosehip Oil, Natural Vitamin E, Acacia Senegal Gum, Xanthan Gum, Tea Tree Leaf Oil, Citric Acid (pH adjuster). 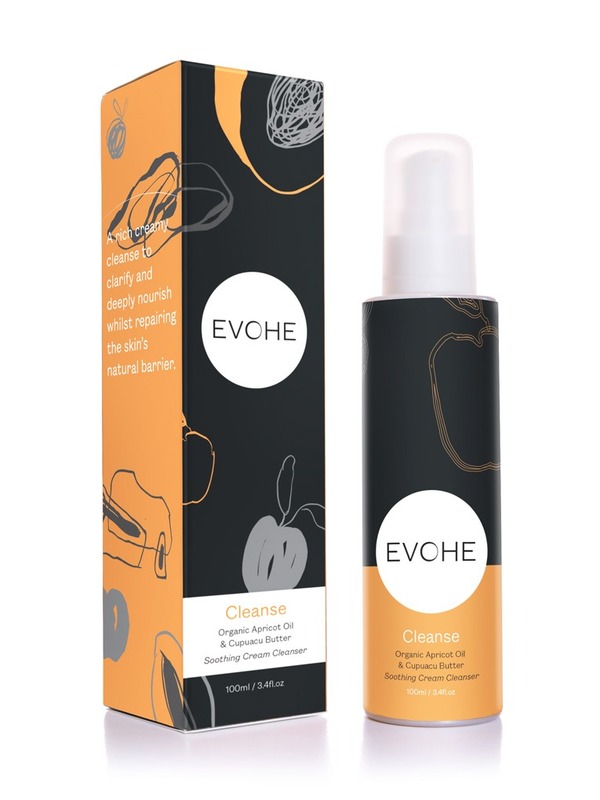 I have used this cleanser for a year , it is a part of my daily skin care, I have sensitive skin and this cleanser gives a gentle cleanse without making my skin dry, thank you! 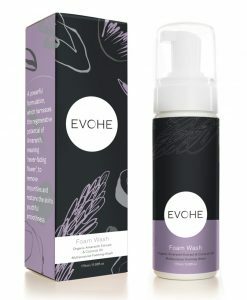 Evohe is becoming a pet passion of mine – every morning and night I really look forward to using my cleanser, it smells so beautiful and really gets all my makeup off, without stripping my skin. It’s the first cleanser I’ve used that hasn’t left my skin red afterwards. I honestly can’t imagine using anything else now. The cleanser’s smell is so uplifting, especially after a long day and makes you feel relaxed before bed. 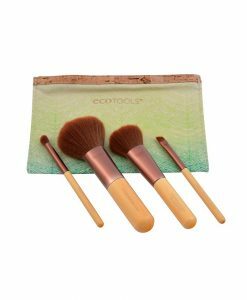 Highly recommended for people with sensitive skin who also want to get makeup and daily grime off. 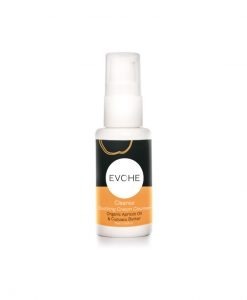 I have been using evohe cleansers and make up for about 3 years now and would never change to anything else. 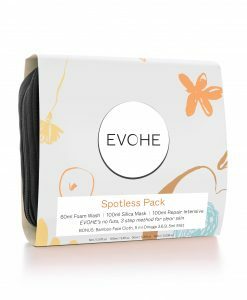 I used to have slightly problematic skin but have hardly had one break out since using their products. People often comment on how nice my skin is and I have evohe to thank for that. Absolutely beautiful products. Best gentle cleanser for my super sensitive and dry skin. Other cleansers i’ve used burn my skin and make it more irritated but this cleanser makes my skin feel calm and moisturized. 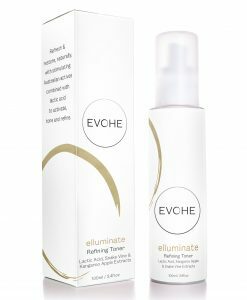 This Cleanser feels like a moisturiser, it cleans your skin without stripping it. Absolutely love it! This is the best cleanser that I have used. 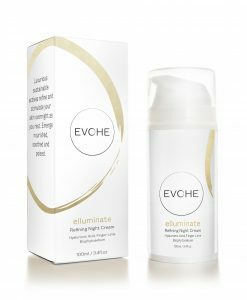 It leaves my skin feeling clean and reduced redness from skin sensitivity without stripping away the natural oils and moisture. Definitely recommend! I’ve been using this cleanser for a couple of years now. I have extremely sensitive, eczema-prone skin and I’m allergic to soap and fragrance. 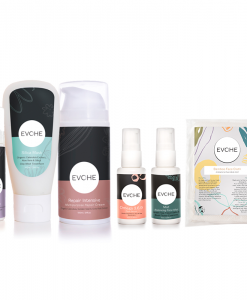 After using supermarket skincare for many years, I began to wise up to the harsh chemicals in these products and the impact these ingredients are having on our environment. So began my search for a natural alternative that left my skin feeling clean and hydrated! I was recommended Evohe at a Melbourne health food store and have never looked back! My skincare is virtually 100% evohe these days, besides the addition of organic rosehip oil as a serum. I love the range of gentle products that produce real results. My skin is the healthiest it’s ever been and I refuse to use anything else. Thank you Evohe! 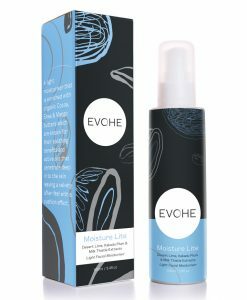 I love the freshness and efficacy of all Evohe products, including the newest addition to my regime, Evohe’s créme cleanser. At the end of a hectic day, when I am ready to wind down, these beautiful products are part of the process…from the fresh natural fragrance, to the consistency and beyond, to produce visible results yet keeping the purity, is something that will keep me coming back for more.